We do applied research. We address real challenges. We find practical solutions. We aim to make an impact in the world of IT based systems by implementing innovations that pull through advanced thinking and technologies into solutions for our partners in industry and commerce. We deliver impact through collaborative RTD programmes at national and international levels, engineering and delivering proofs-of-concept, demonstrators and novel operational systems. We work in a spirit of partnership with collaborators from the research and application communities on a wide range of topics where our knowledge and expertise can add significant value. We are motivated by real-world challenges in industry, society and commerce that can only be solved by the application of new thinking, coming from a broad appreciation of the research landscape and an understanding of our partners' needs. As an applied research centre we do our best work in collaboration with others, adding value through our understanding of the research space and how it can be applied to the kind of real-world problems and challenges our partners bring. We work in collaborative partnerships, we offer consultancy and we undertake contract R&D. We have more than 20 years experience in national and international collaborative projects, taking a leading role in defining, bidding and often coordinating successful collaborations, working with our extensive network of contacts across industry and academia. Visit our projects page to see the ways in which we can work with you. We undertake contract R&D for commercial and public sector customers. We maintain strict commercial confidentiality and can bring a wide experience of the application of emerging IT technologies to present and future commercial and social environments. Contact us to find out how we can work together. 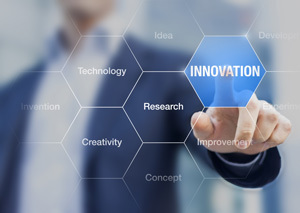 Our broad knowledge of innovation across many industry sectors enables us to offer a confidential consultancy service to any organisation looking to understand more about how developments in IT and its application is shaping our world technically, economically and socially. Contact us to discuss your ideas and needs. We are investigating the impact of privacy and security on the evolving digital society and discovering new ways to manage online security. We develop models and tools that support risk-based analysis to identify and specify privacy and security requirements and legal compliance. We are investigating and developing new ways that people can interact with machines and each other. We study media, archive, cultural heritage, environmental and health applications, and consider the ethics and privacy implications inherent in such systems. We research how networks of humans and machines work together, which has led to work on crowd behaviour, education and learning and ways that social media can be used to support media production, eDemocracy and collaborative behaviour. We are looking at ways in which we can provide fresh insights and knowledge from the vast amount of data being produced and shared across the world. We are using and developing our expertise in Big Data Analytics, knowledge modelling, advanced data mining, machine learning and high level data fusion. We design and build intelligent information systems and decision support platforms in support of decision makers and stakeholder communities. We provide leading edge research on advanced data mining, machine learning, high level data fusion, reasoning and uncertainty propagation. We implement integrated demonstrators and proof-of-principle systems using the most advanced system technologies and software design techniques. In collaboration with our industrial and commercial partners we build on experimental platforms to develop new business models, processes and value chains. Alongside our portfolio of targeted R&D projects, we are actively involved in broader discussion with industry and public institutions about the future of digital technology and its business and societal contexts. Colin Upstill is a Director of the Big Data Value AISBL, a member of the Big Data Value PPP Partnership Board and a co-author of the European Big Data Value Strategic Research & Innovation Agenda. Colin Upstill is Chairman of the Steering Board of NESSI, the European Technology Platform dedicated to Software, Services and Data. NESSI aims to provide thought leadership in Europe on the convergence of the networks of data, things and services, and their consequent transformation into a new digital society. Michael Boniface is working with the European Commission on the design of the Next Generation Internet (NGI) work programmes. The NGI is a European investment initiative aimed at shaping the future internet as a powerful, open, data-driven, user-centric, interoperable platform ecosystem addressing important business and societal challenges.